Making work in the world as it is! Some inspirational thoughts on photography. I love this statement by Paul Graham. I am just thinking out loud on my blog today, about making images in the real world and taking/making images in the world as it is. To do this one must go out into the world and make images and keep going out and making more images and force oneself though the doubt and frustration that ones finds when you find that you have been making images that remind one of photographs that already exist. That I think is also one of the things that Winogrand tried to do, to go beyond what already existed and I think it was one of the reasons people have trouble with his latter work, as he was trying to work thorough something about making images in the world as it is. 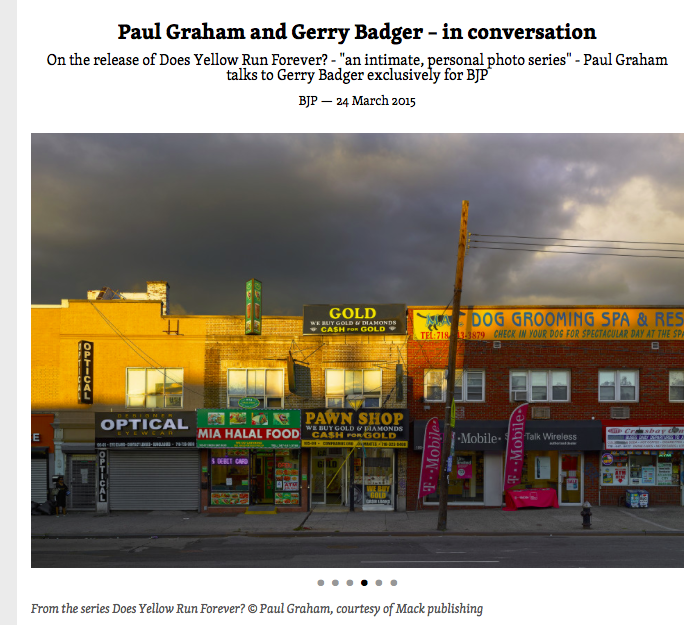 This is something that I thing Paul Graham has managed to do, which is why I like his work.